Travel to another world and find The Dark Tower. Based on the film adaptation of Stephen King's novel of the same name, the legendary characters step off the silver screen and into the Diamond Select line of action figures. This 7-inch action figure features approximately 16 points of articulation, character specific accessories, and a sculpted diorama base from on the film. 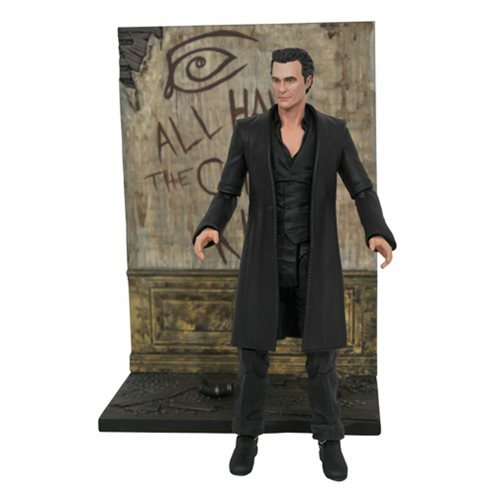 The Dark Tower Man in Black Select Action Figure comes packaged in the display-ready Select packaging with side-panel artwork. Ages 8 and up.